Once I started thinking about words, phrases, items and brands which have disappeared from use since the 1950s, I kept remembering more and more! 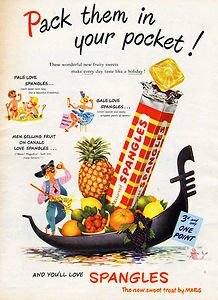 Some of the sweets and chocolates which have gone are Spangles, Bar Six, Tiffin (my favourite! ), Five Boys and Fruit Polos. As for clothes, does anyone remember wearing a Liberty Bodice? It was an extra warm button through vest which most children wore all winter when I was little. As girls rarely wore trousers in those days, winter wear was a warm skirt or pinafore dress in wool or corduroy. 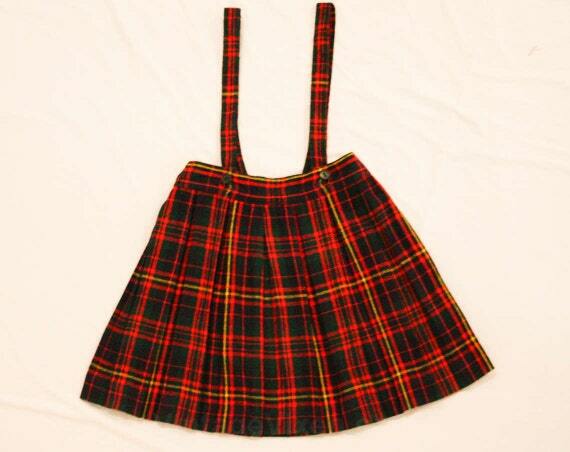 Kilts were extremely popular and for the very young they had straps like the one in the photo. 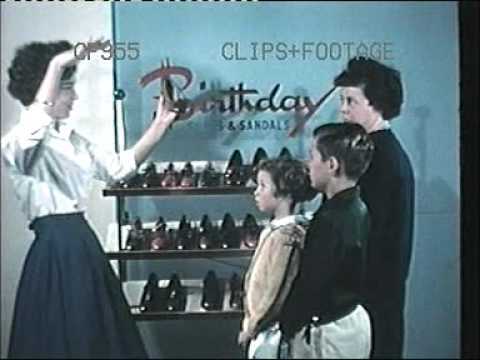 Disappeared brands I recall – Cherub and Ladybird clothes. Birthday, Start-Rite and Tuf shoes. The golliwog is an extinct toy now for all the right reasons. However, in the politically incorrect days of my childhood, they were very popular toys. Robertson’s Jam’s golly badges were extremely collectible! To the children of the times a golly was a colourful soft toy and completely innocent. Many of the toy cars my brother, sister and I played with were Dinky Toys. They were made by Mecca I’ve discovered when researching for this post. Now that’s another toy brand which has disappeared! One last food memory – who remembers rissoles, faggots and spam fritters? Recently I was reading with some children in school. The book was Michael Morpurgo’s Butterfly Lion (brilliant writer, fantastic book!). Chapter One is called Chilblains and Semolina Pudding. Before doing any reading, I had to explain the two things to the children. I know people do get chilblains and you could, if you wanted to, buy semolina and make a pudding with it. Yet as far as the kids of today are concerned they are unheard of. We were very familiar with both in the 1950s. I suffered from chilblains every winter and semolina pudding was a regular (if rather unpleasant) feature of school dinners. This started me thinking of other things which were part of our lives as we grew up which today’s children have no knowledge of. I will start with food. Semolina pudding had several relatives in the milk pudding family. I think rice pudding is the only one which has survived into the 21st century in the UK – and even that isn’t very common. The others were macaroni (yes, pasta in a dessert! 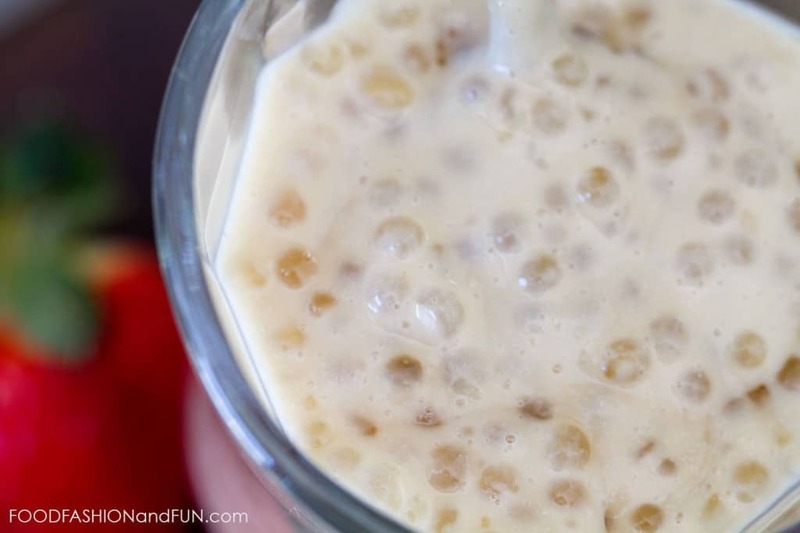 ), ground rice, sago and tapioca (nicknamed frogspawn – the reason for this can be seen in the photo). With the advent of ice-cream, mousses and brands like Angel Delight, the traditional dessert blancmange has disappeared from the face of the earth. It was a milk-based, coloured and flavoured dessert thickened with cornflour and set in a mould. It was often served with jelly. For our birthday parties when we were little my mum used to make a rabbit-shaped blancmange and surround it with chopped up green jelly. 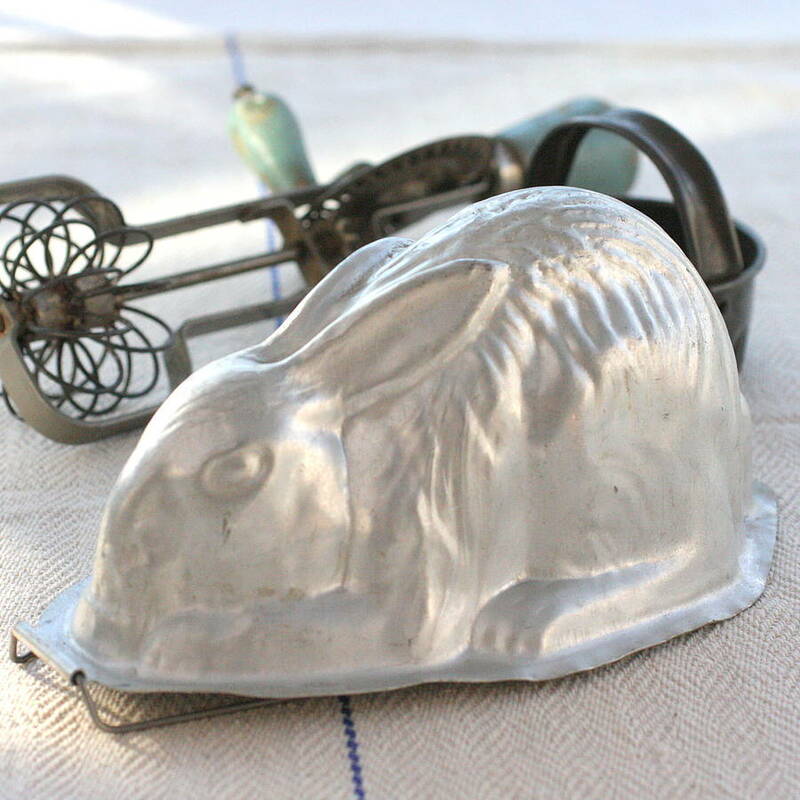 Mum had a rabbit jelly mould like this. A warm drink in the evening was also largely milk-based and could be cocoa or perhaps Ovaltine or Horlicks. I think they can still be bought but I don’t think many children drink them or have even heard of them. Moving on now to school and school uniforms. All school uniform for boys included a school cap which had to be worn every day throughout school if the boy stayed on until 18 years old. Long trousers were not worn by boys until they were thirteen and uniform shorts were worn with long woollen socks. Girls wore gymslips until thirteen when they could wear skirts. There were no tights (they hadn’t been invented) so long socks were worn in winter, ankle socks in summer – even if you were a sixth-former! In our school the girls had to wear a beret (known as a tam) and woe betide you if you ever stepped outside school without it on! The school bag – for boys and girls in secondary school – was a leather satchel. Games and P.E. kit was carried in a duffle bag.Two more expressions unknown to today’s children! The school uniform coat was a gabardine mac or raincoat, usually double-breasted and belted. Meccano, plimsolls, cycling capes, leather footballs, Dinky toys, Liberty bodices, golliwogs, Spangles, leather footballs and bus conductors. Watch this space!